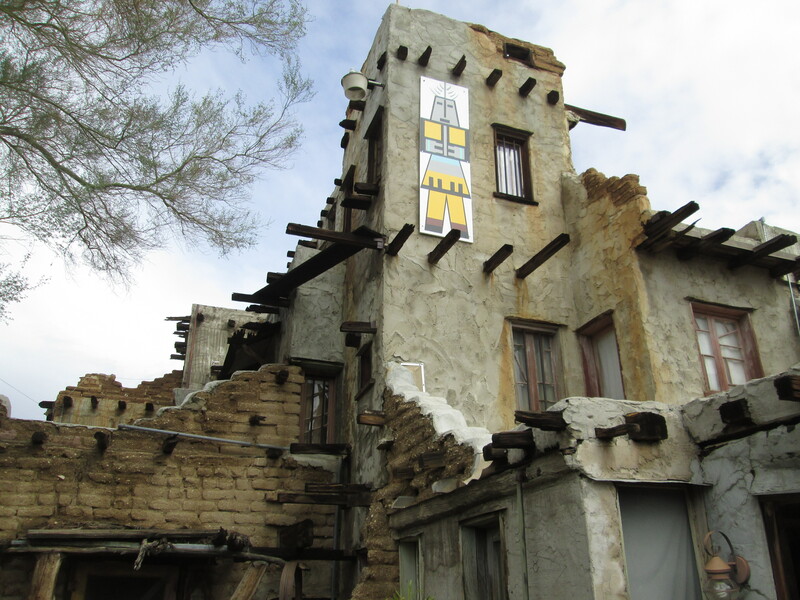 Cabot’s vision is alive and realized in his 35-room, 5,000 square foot Pueblo built entirely of found and repurposed materials. Everyone who wants to see first-hand what can be accomplished with the three R’s—reuse, reduce, and recycle—will be in awe as they walk through the museum and home of Cabot. 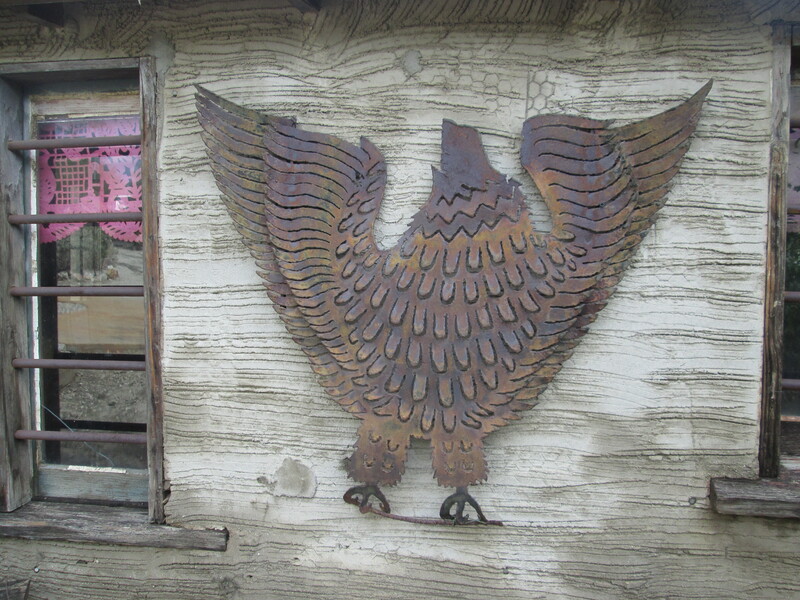 In addition to the Pueblo itself, there are a number of outbuildings on the grounds, including a trading post, tool house, and meditation garden, to name just a few. The visitor can take a one-hour docent-led tour of the main Pueblo building, and easily spend another hour looking around the complex. Cabot built the Pueblo later in his life, starting in the 1940s and continuing for most of his remaining years. Where most architects put together a plan to which they more or less adhere, Cabot did it the other way around. The size of the rooms had more to do with the building materials he had on hand at the time. Many of the windows, doorways, and stairs are unusually narrow or small. He justified his practice by referring to the Venturi Effect, which is usually applied to fluids, but which can also be applied to the movement of cool air in a desert building. In fact, the tour I had last Friday on a hot morning was remarkably cool in this non-air-conditioned structure. There was no Home Depot or Lowe’s around for Cabot to buy standard windows and doors. 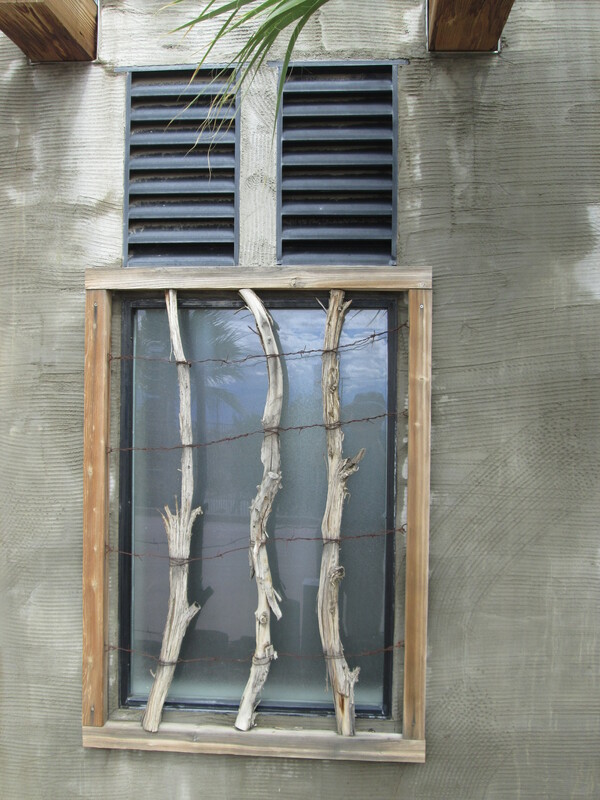 Everything was based on found materials, as for instance in the window illustrated below. Usually, comfort on hot days in the desert is achieved by expensive air-conditioning: It is remarkable that Cabot’s Pueblo is actually quite livable. Even in West Los Angeles, where I live in an old uninsulated apartment house, the three windows facing the setting sun can heat the place up to 90º Fahrenheit (35º Celsius) until the middle of the night. Imagine what that would do in the Coachella Valley in August! Although he traveled around the world more than most desert rats, Cabot Yerxa did know the desert from deep personal observation. That’s one of the reasons I am enjoying his book, On the Desert Since 1913. This entry was posted in texts and tagged cabot-yerxa, desert, desert-dreamers, desert-hot-springs, museum. Bookmark the permalink.